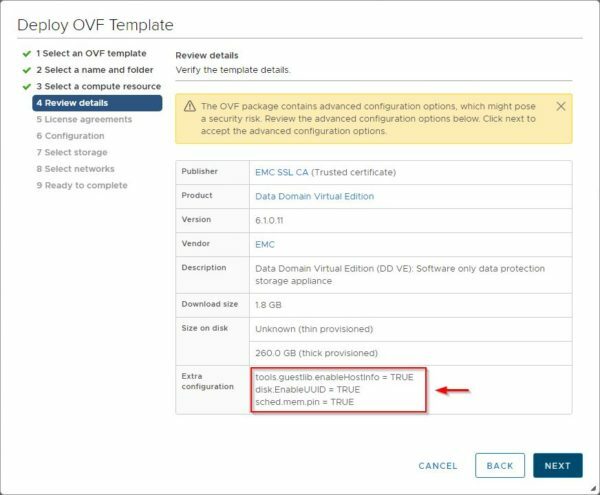 EMC Data Domain Virtual Edition (DDVE) is the software-defined protection storage provided by EMC you can deploy and configure in a matter of minutes. 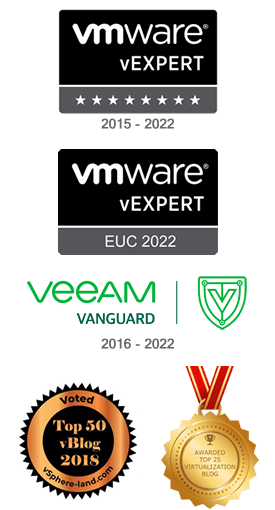 The appliance can be deployed on VMware ESXi 6.x, Hyper-V (Windows Server 2012 R2/2016), AWS and Azure in commercial regions platforms and provides up to 96TB capacity. 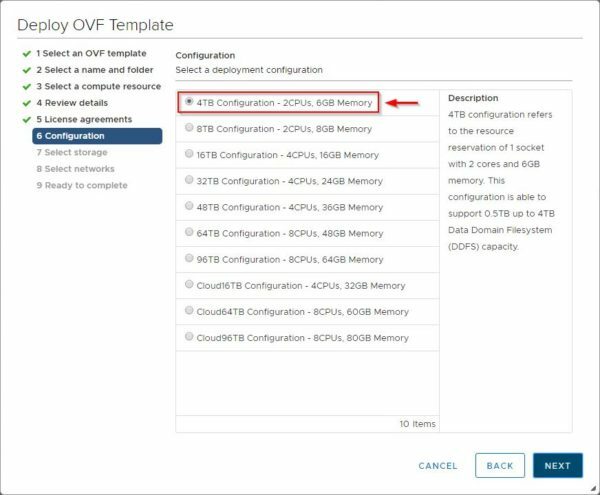 EMC Data Domain Virtual Edition supports NFS, CIFS, DD Boost and BoostFS protocols. 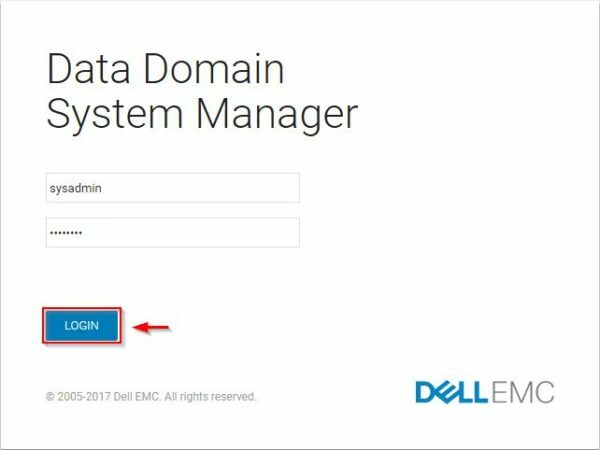 Before proceeding with the deployment, download the EMC Data Domain Virtual Edition appliance from DellEMC website. 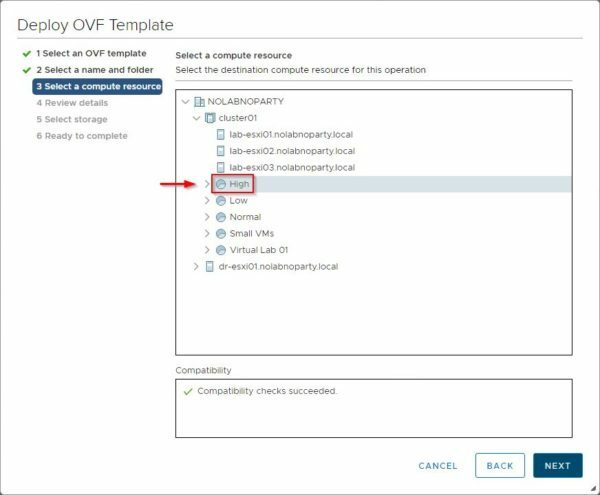 From the vSphere Client, right click the vSphere object where to deploy the DDVE appliance and select Deploy OVF Template option. 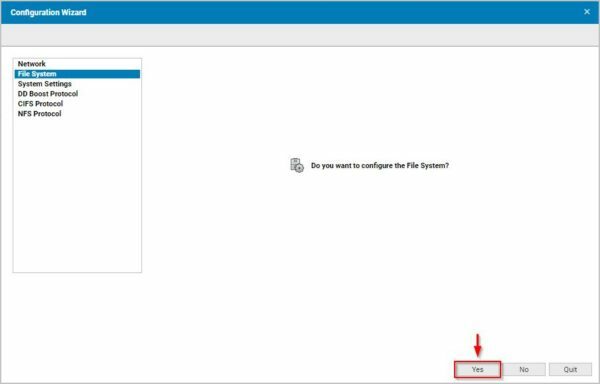 Click the Choose Files button to select the .OVA file downloaded from DellEMC website then click Next. 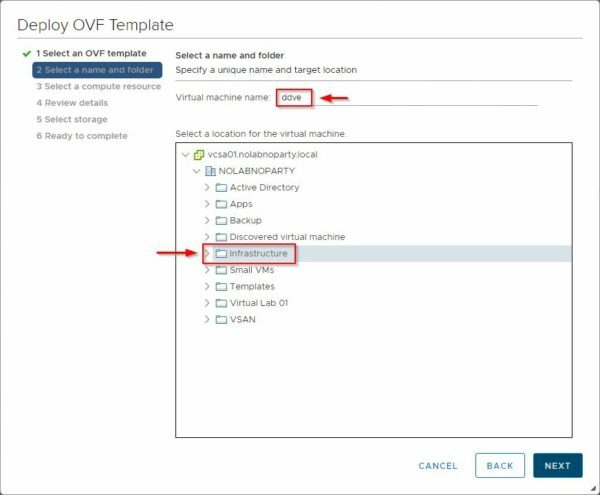 Specify the Virtual machine name and the location to use then click Next. Specify the compute resource and click Next. 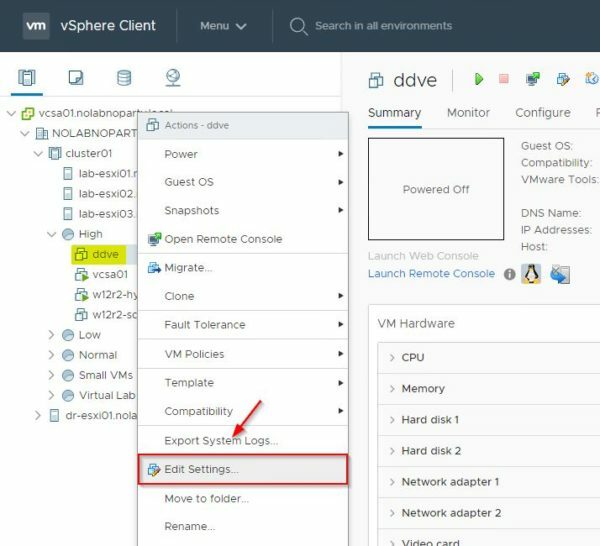 Some advanced configuration options need to be set in vSphere. Take a look at required parameters then click Next to continue. 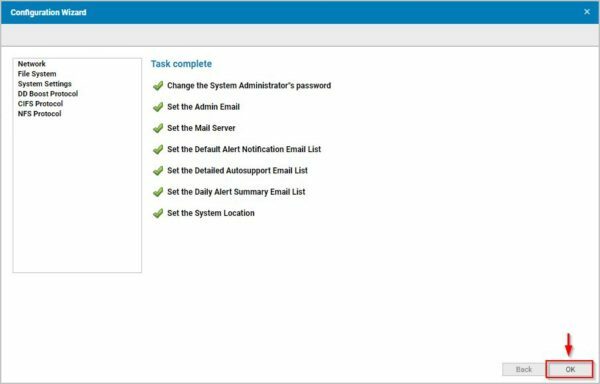 Specify the Configuration to use based on your business requirements then click Next. 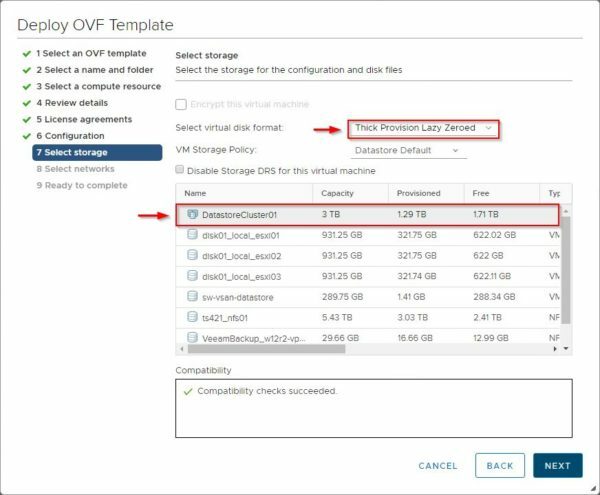 Select the virtual disk format to use and the storage then click Next. 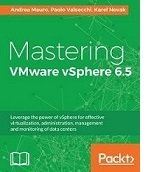 For production environments the used storage should not be the same used to store the appliance or production VMs. 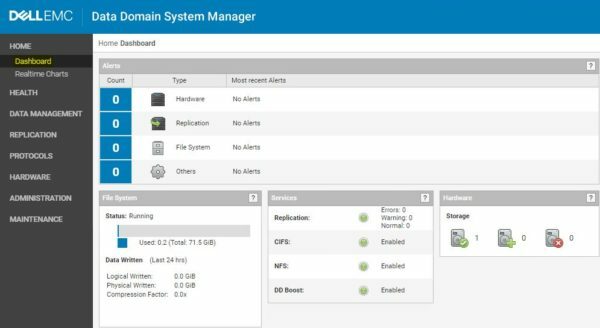 Currently RDM disks are not supported. 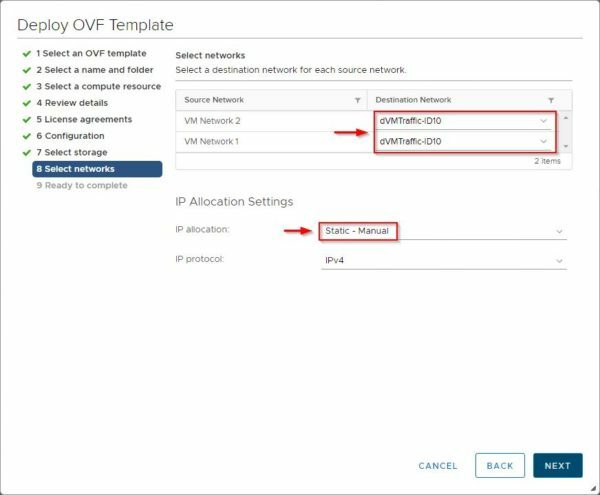 Specify the Destination Network to use and leave the IP allocation as Static - Manual. Click Next. 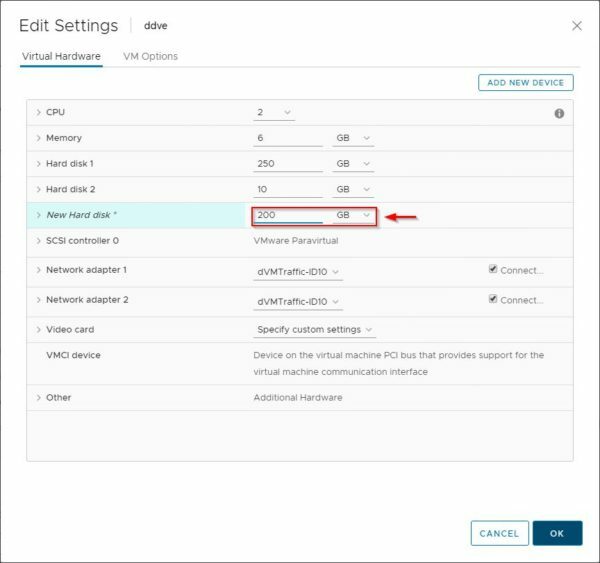 Right click the deployed VM and select Edit Settings. Click Add New Device and select Hard Disk. 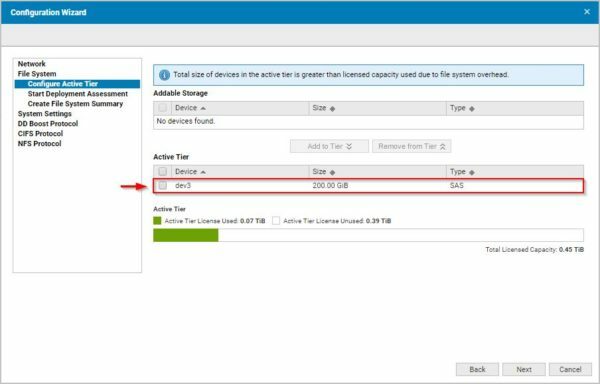 Specify the New Hard Disk size then click OK. 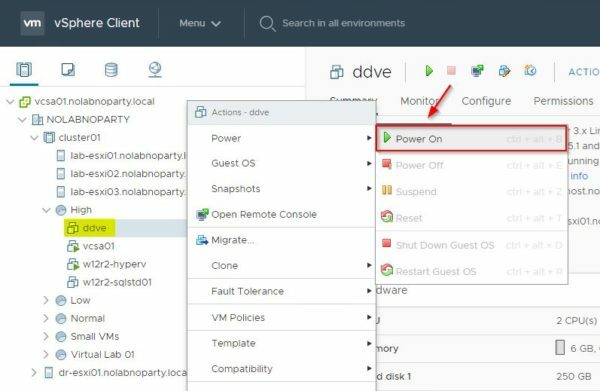 Right click the VM and select Power > Power On. When the appliance has booted, check out the assigned IP address. Open your favorite browser and type the address https://<IP_Address_DDVE>. 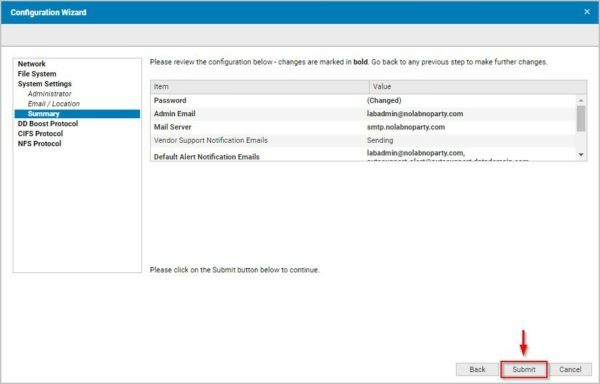 Enter the default credentials then click Login. The license must be applied. 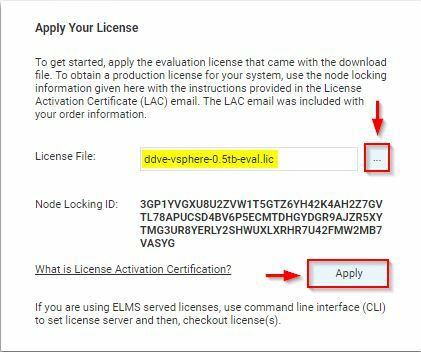 Click the ... button and select the license file then click Apply. 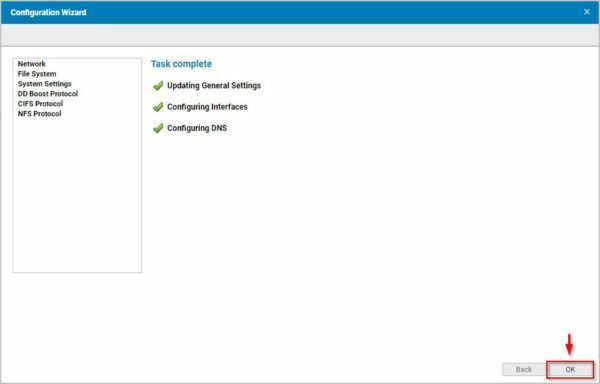 The configuration wizard is displayed and it is used to perform the initial configuration of the appliance. 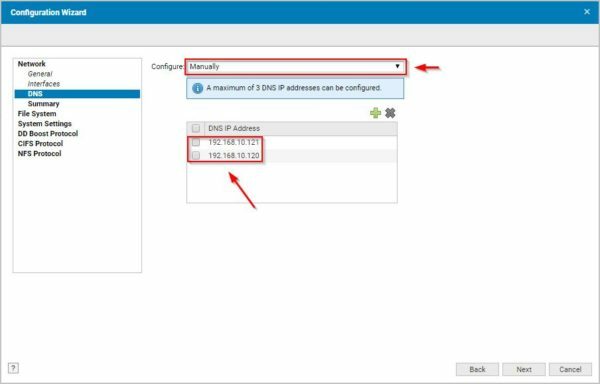 To assign specific IP addresses to the appliance click Yes. 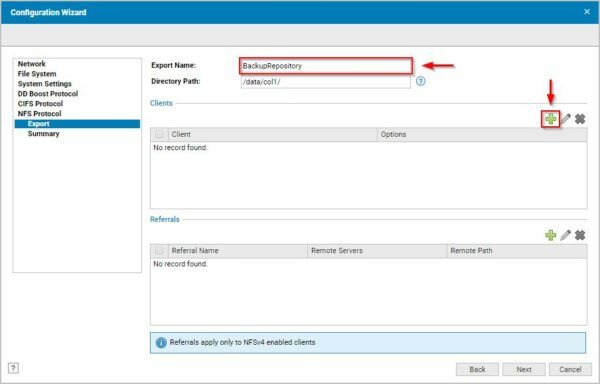 Select Manually Configure option and fill the required fields. Click Next. 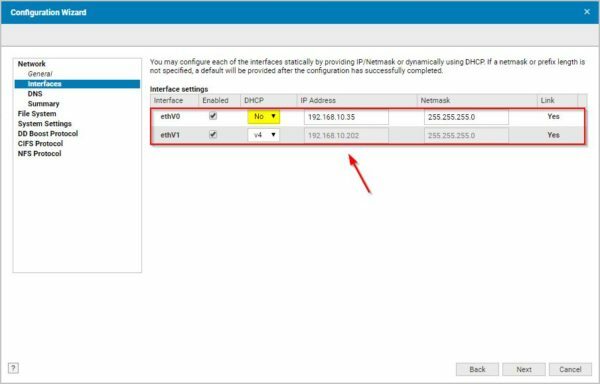 To assign a static IP address, set the DHCP value to No to one interface then enter the IP address to use. At least one interface must be configured to use the DHCP. Click Next. 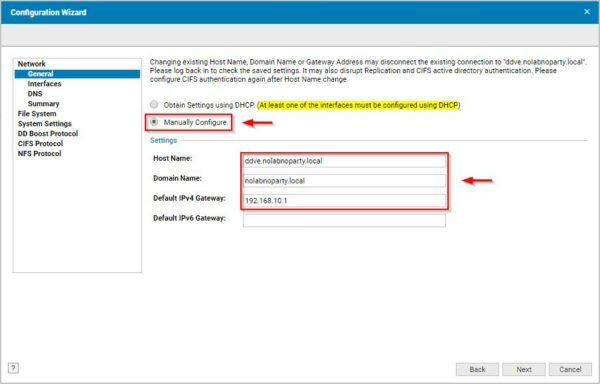 Select Manually from the Configure drop-down menu and specify DNS servers to use. Click Next. 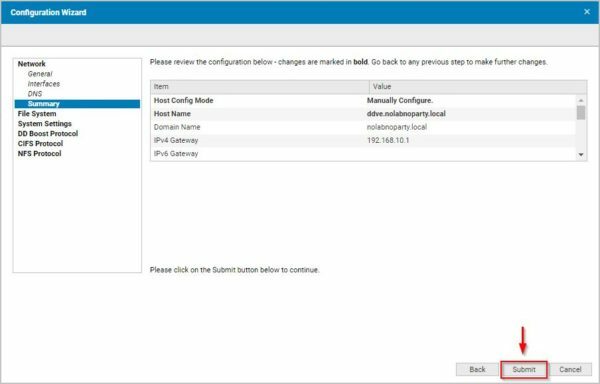 Click Submit in the summary window to save the network configuration. The configuration has been updated. 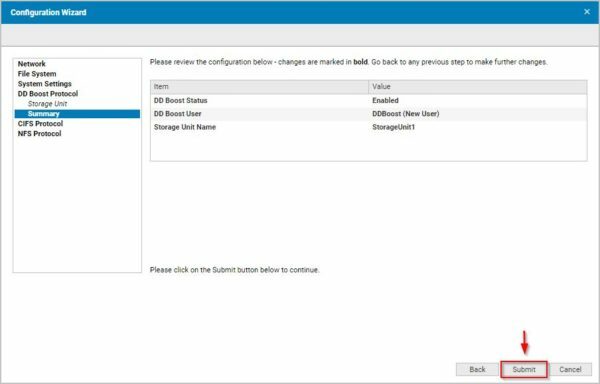 Click OK.
Click Yes to configure the file system for the hard disk previously added. 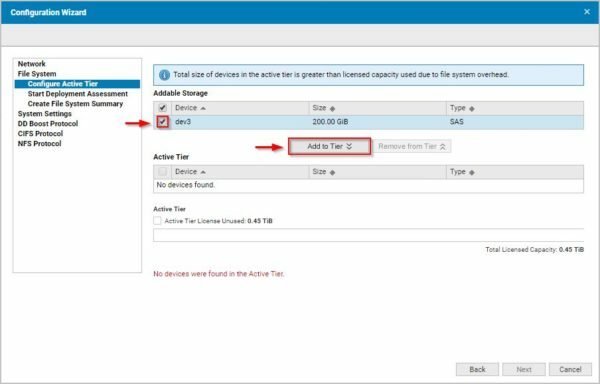 Select the device then click Add to Tier button. 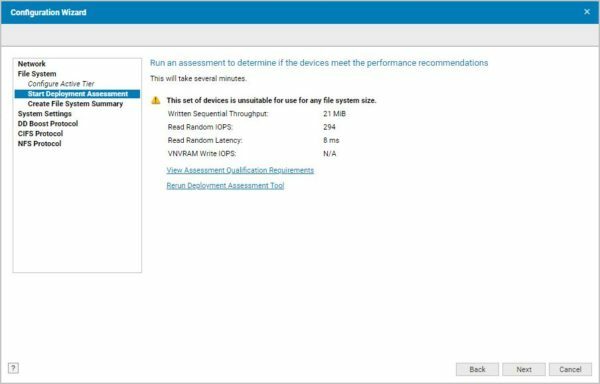 To determine if the device meets the performance recommendations, it is necessary to perform an assessment. 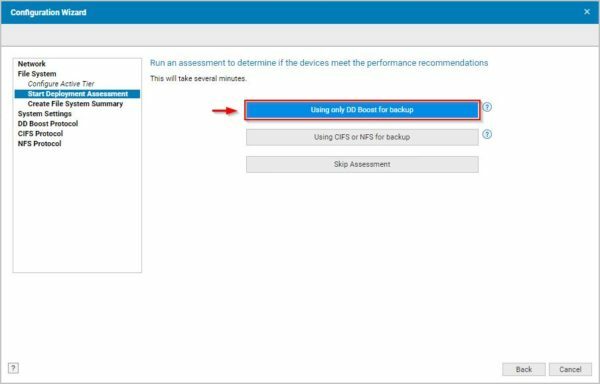 You can run both Using only Boost for backup and Using CIFS or NFS for backup assessment options to check your device. If the assigned resources can't satisfy the requirements, you get a warning. Click Next to continue. The Qualification requirements are reported in the table below. 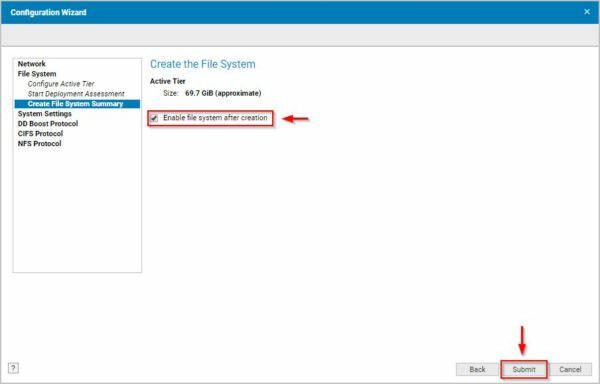 Leave Enable file system after creation option enabled and click Submit. 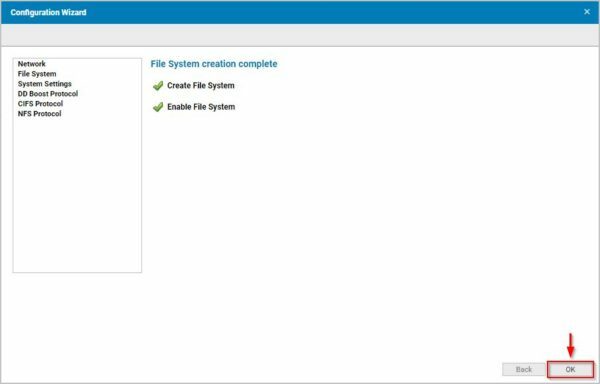 The file system has been created. 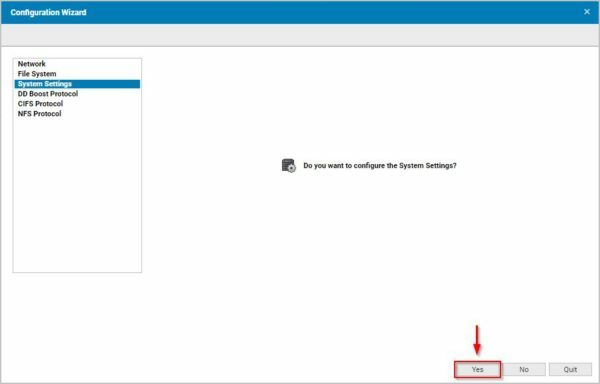 Click OK.
Click Yes to configure System Settings. 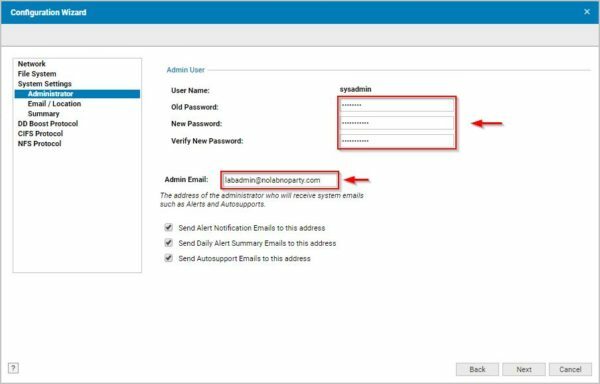 In this section you can configure password and email address to receive alerts and notifications. Click Next. 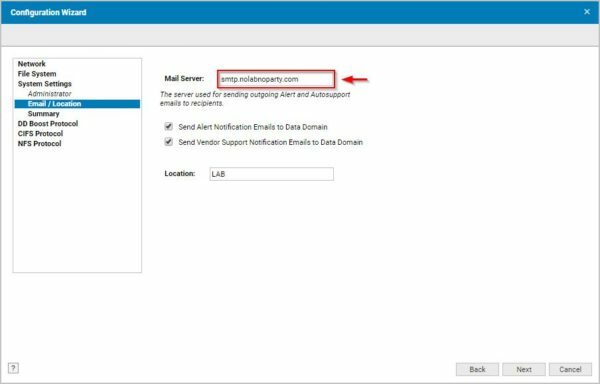 Specify the Mail server use for sending outgoing emails and the Location then click Next. Click OK when the process has been completed. 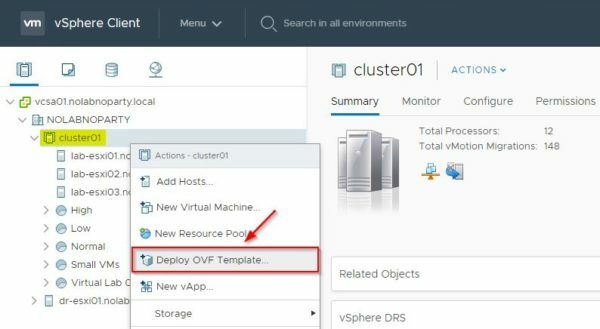 The EMC Data Domain Boost (DD Boost) protocol is used to enhance the backup performance since it improves the interaction between the Backup Server and the Data Domain appliance. 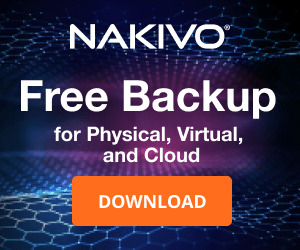 During the execution of a backup job, the most common type of deduplication takes place in the backup repository - AKA target-side deduplication - after data transfer. 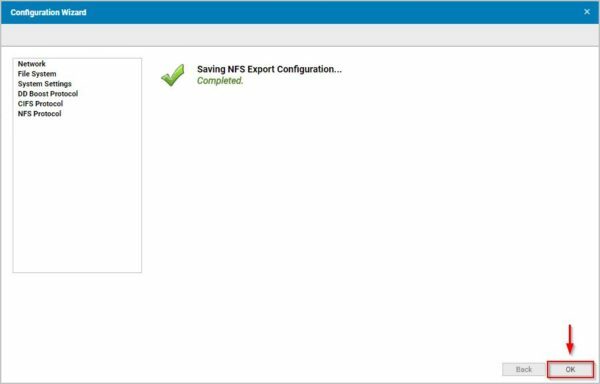 Data transferred to the backup repository create anyway an additional load to the network. 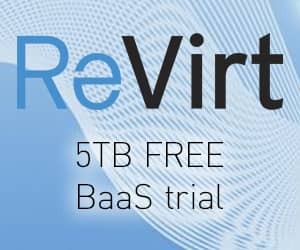 Using the DD Boost instead, the deduplication process occurs at the client-side (Backup Server) - AKA source-side deduplication - improving backup performance and reducing bandwidth requirements since only deduplicated data are sent to the Data Domain appliance (Backup Repository) over the network. 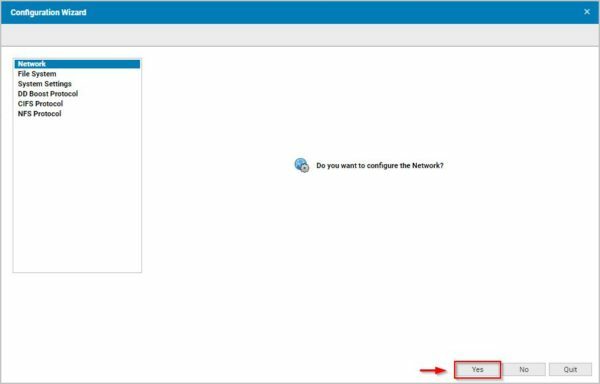 Click Yes to access the configuration panel. 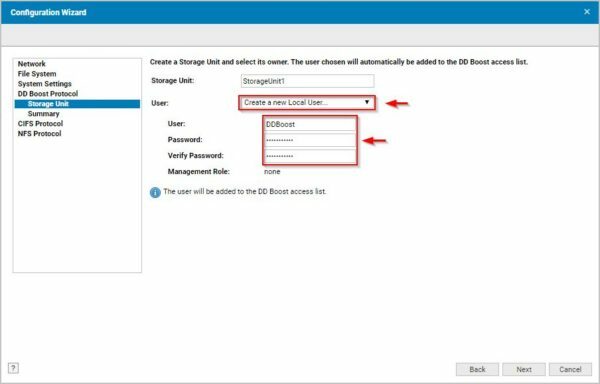 Assign a Storage Unit name and, from the User drop-down menu, select Create a new Local User option to create the account used by DD Boost. 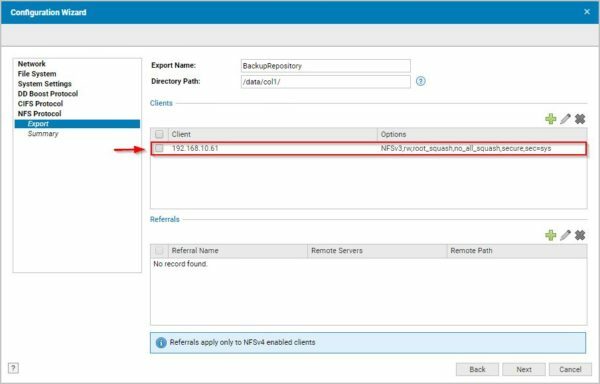 Enter a User name and Password then click Next. 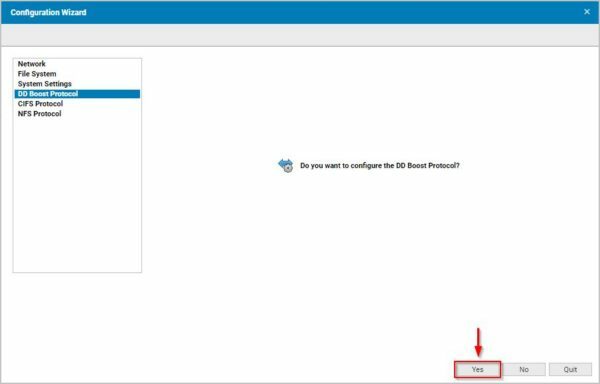 In the summary window click Submit to create the user and enable DD Boost feature. If you need to configure the CIFS protocol, click Yes to access the configuration panel. Specify an Export Name then click on the green plus (+) icon to specify the access permissions. 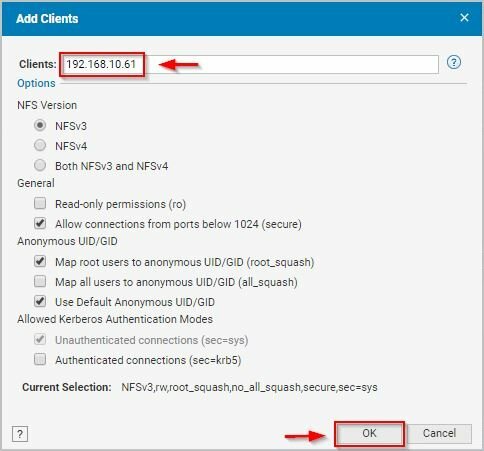 Enter the IP address of the Clients that need access to the NFS share and enable the required options. Click OK to confirm. 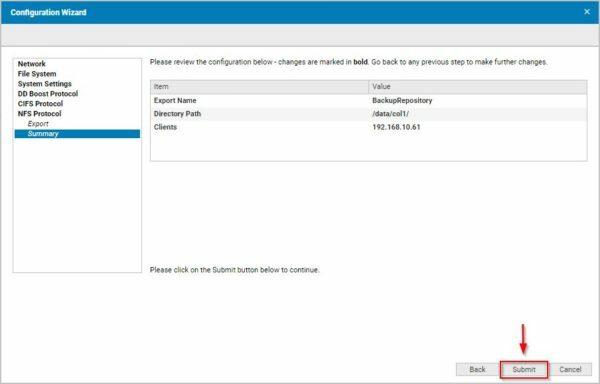 In the summary window click Submit to save the configuration. 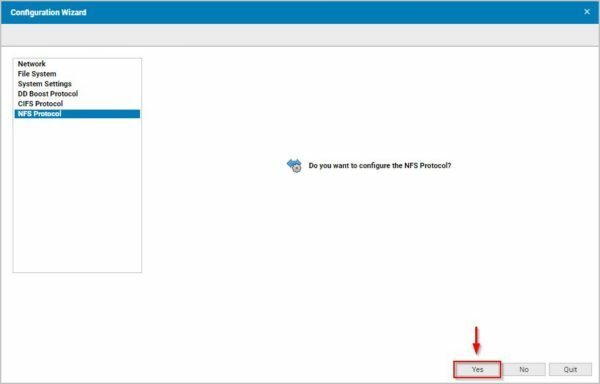 When the configuration has been completed, click OK. The initial configuration is now complete and the Data Domain's main dashboard is displayed. 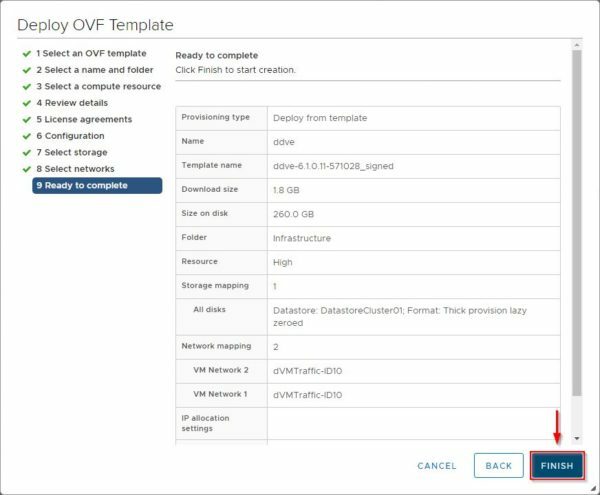 Ensure the appliance is time-synced with the network to avoid authentication issues. 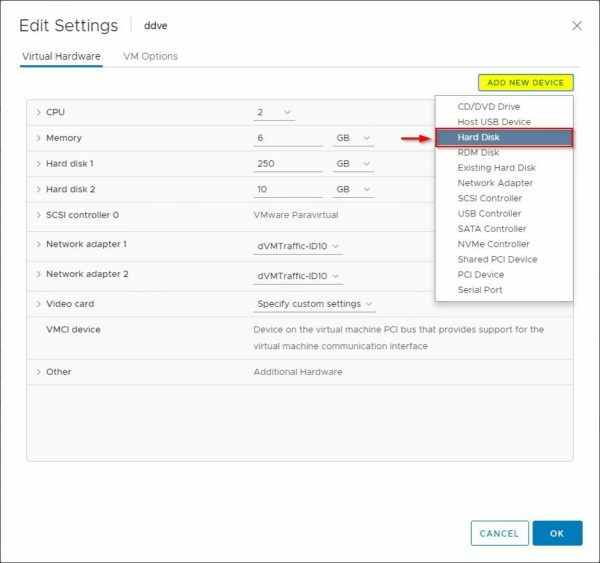 When the basic configuration has been completed, you can adjust all the configuration settings to meet the requirements and optimize the EMC Data Domain appliance. 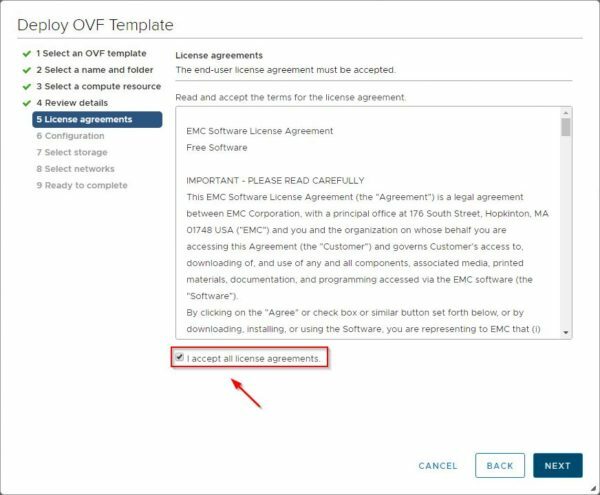 EMC Data Domain Virtual Edition is available as 45-day trial limited to 0,5 TB storage space.